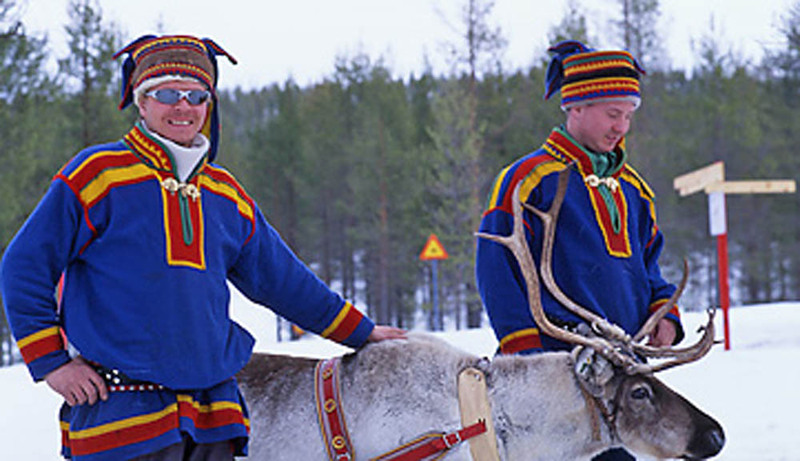 What can be more relaxing and traditional in Lapland than enjoy the ride with Reindeers? The safari includes transfers, guidance, reindeer ride, hot drinks and snacks (2h service) or soup lunch (3-3.5 h service), and chatting about reindeer´s life. We pick you up from our office in Saariselkä to the local reindeer farm, we provide extra thermal clothing and give you driving and safety instructions. After it is time to get a comfortable ride with the reindeer. During the safaris you travel in a traditional Lappish sleigh pulled by reindeer. There are reindeer hides and blankets to make sure you are warm. It’s nice to feel authentic and tranquil nature, broken only by the snap of the reindeer hooves and the sound of the sleigh being pulled over the snow. After about one or two hour driving, we return to the reindeer farm. In the cozy main buildings or Lappish kota shelters to warm up and savor some coffee/tea or lunch. The herder tells stories and reindeer herding. After this unique adventure we will return back to Saariselkä village. If you would prefer evening safaris, Aurora Hunting by Reindeer is another great choice. The night safari provides you an opportunity to encounter Aurora borealis in peaceful silence. *Please contact us for Reindeer Safari time schedule, as reindeer herder adjusted the departure time daily.